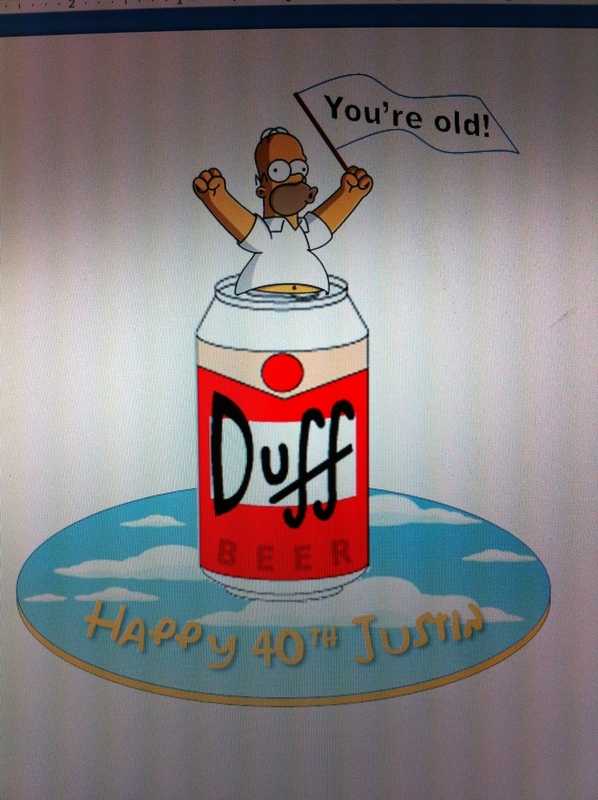 I made this for my buddy's 40th. 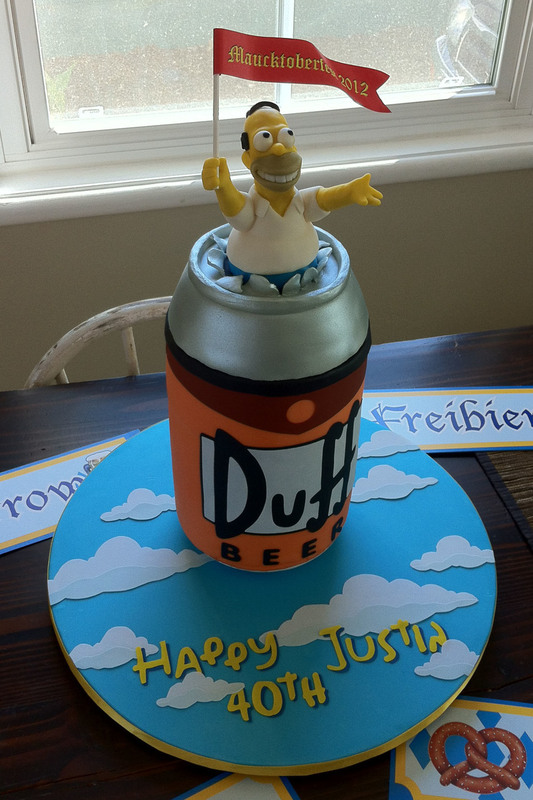 He's into beer and Simpsons, so this concept worked out great. It's three 6 inch tiers. 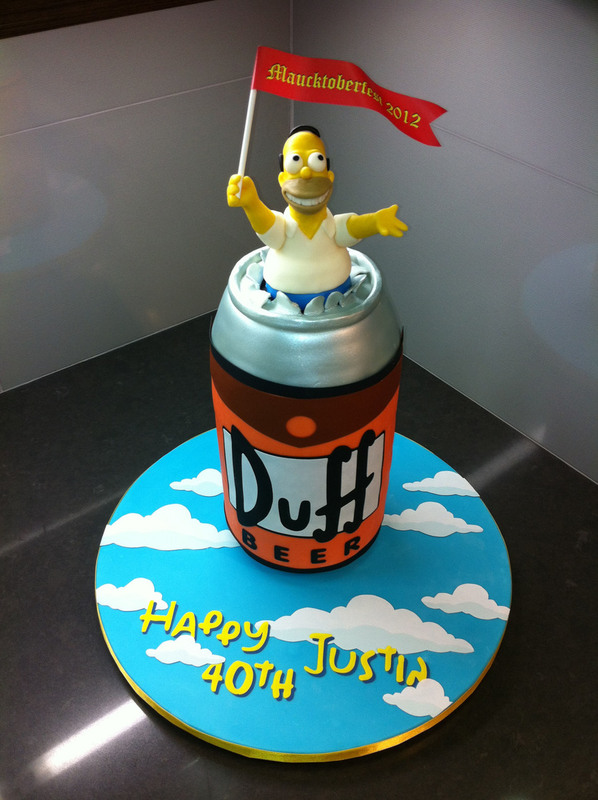 Lemon cake with blackberry buttercream kept with the Homer theme, as the cake slice was yellow and blue like Homer. The topper starts at the top of the can-- the silver part is RKT. 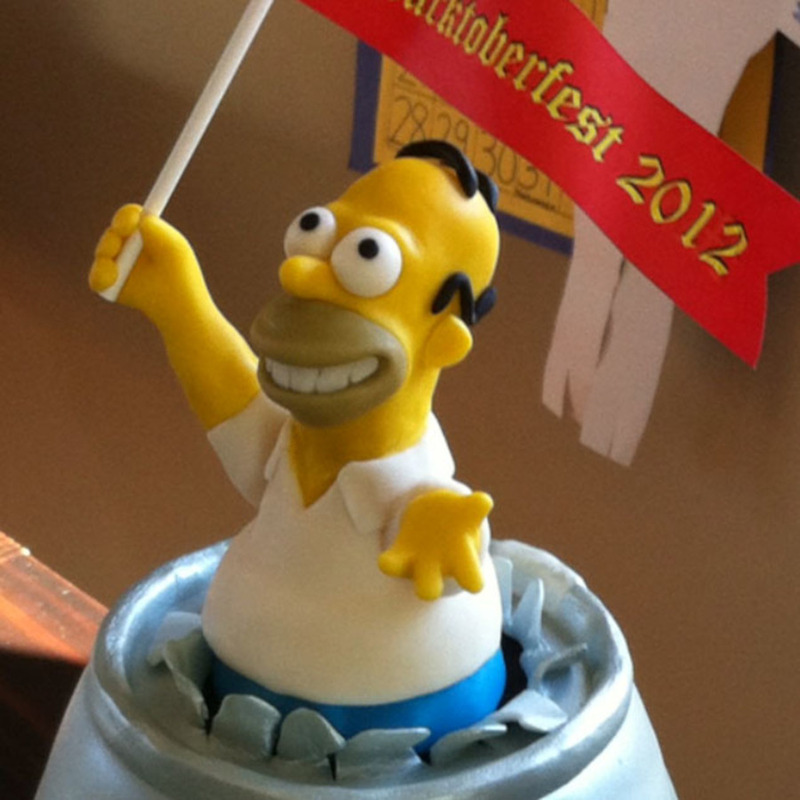 Homer is all fondant. 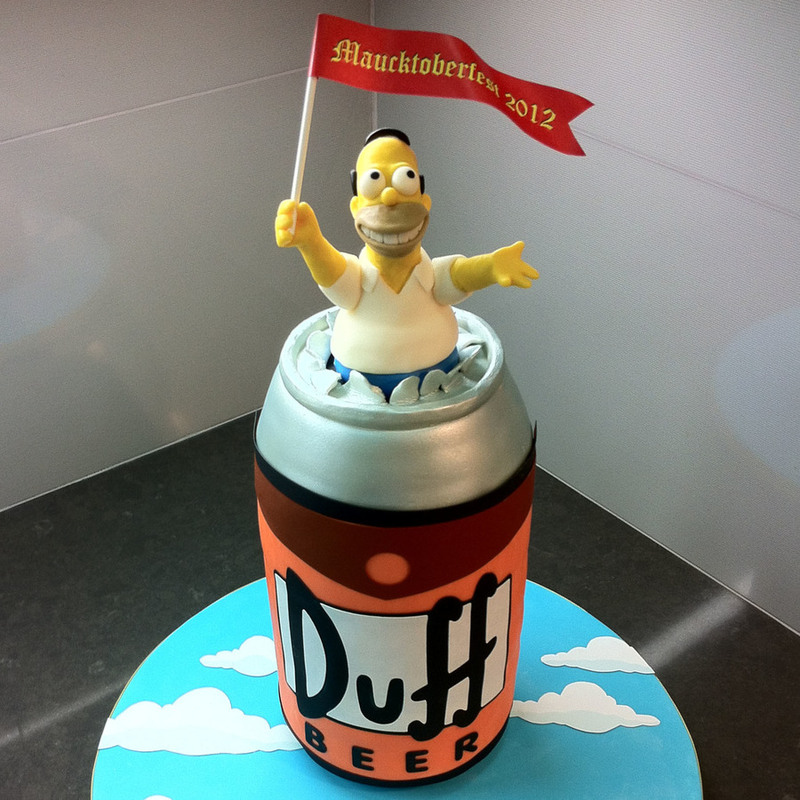 The base is covered in light blue fondant, and 2-toned hand-cut clouds made from frosting sheets.